The post Learn to Dragon Boat this Season! appeared first on Penticton Dragon Boat. 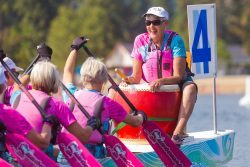 The post 2019 Festival Dates Announced appeared first on Penticton Dragon Boat. 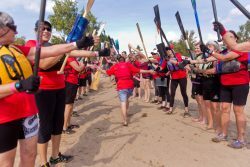 The post Dragon Boat Lessons appeared first on Penticton Dragon Boat. The post Super Sprints Event appeared first on Penticton Dragon Boat. We are excited to announce that our first ever seniors day Super Sprints was a hit. Thanks to all teams who came out and represented! Great weather, great times and great spirit! Thanks to all of our volunteers and a congratulations to all teams for an excellent day of racing! If you are interested in seeing some photographs of the event feel free to peruse through those on our Penticton Dragon Boat Festival Facebook page. Thanks for a great day everybody! The post September Festival Accommodation (2016) appeared first on Penticton Dragon Boat. For all you dragon boaters out there interested in our September Festival please note that it is a busy time of year here in Penticton. For your convenience please click the hyperlink “Hotel Availability” below which contains a current list of accommodation available in our area. Also, the Penticton Lakeside resort has plenty of rooms available and they have offered a special room rate for us! Just mention that you are here for the PENTICTON DRAGON BOAT FESTIVAL and enjoy the discounted rates. The post Accommodation Options at PDBF 2015 appeared first on Penticton Dragon Boat. The post Spring Training in Penticton appeared first on Penticton Dragon Boat. We are offering some free sessions in May & June for interested paddlers to come out and try dragon boat. Bring a friend or your spouse and have some fun on the water. Representatives from all of the teams will be there so you can find out who needs paddlers and which team will be the best fit for you. The post Come Try Dragonboat! appeared first on Penticton Dragon Boat. The post The Penticton Dragon Boat Festival Featured on PBS! appeared first on Penticton Dragon Boat. 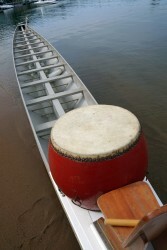 The post Paddler’s Party Tickets on Sale appeared first on Penticton Dragon Boat.